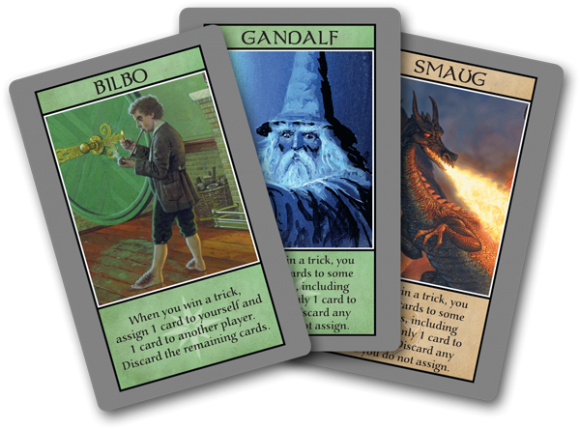 Relive the epic struggle of good versus evil in Middle-earth with The Hobbit Card Game, Martin Wallace’s fast-paced, standalone, trick-taking card game for 2-5 players. Win hands and use the cards you’ve won to deal damage to opponents, or heal allies and help them with extra cards. Cards can be imbued with the powers of evil or good, and your character's alignment determines how each power effects them. Each character assigns cards differently, so use your skills wisely! Fight the forces of evil as Gandalf, Thorin, or Bilbo, or smash the hopes of the heroes as Smaug the dragon or Bolg, the goblin leader. 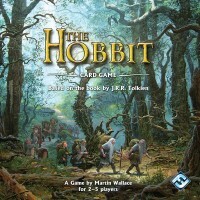 Add a Review for "The Hobbit Card Game"